On behalf of the Welsh Chess Union I would like to welcome your child and provide you with some information about our activities. The WCU provides opportunities for young people up to the age of 18, to receive coaching and competition in Junior and Senior Competitions. All coaching is by qualified coaches who are trained and have been screened for their suitability for working with young people. 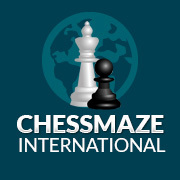 As a chess organisation, we are committed to providing high quality standards for all participants in relation to effective management, quality coaching and competition, and safety. Ian Eustis, is responsible for ensuring that our safeguarding policy is implemented and can be contacted on 01792862115 should you have any concerns. We welcome parents to all training sessions and competitions and value your support. Please visit the Welsh Chess Union web site (http://www.welshchessunion.uk/) for further club details. We would be grateful if you could complete the attached junior membership form. For the safety of your child it is important that the WCU is informed of any medical condition or allergies that may be relevant, should your child fall ill or be involved in an accident while attending events. The WCU values the involvement of children in chess. We are committed to ensuring that all children have fun and stay safe whilst participating in events. To help us fulfil our joint responsibilities for keeping children safe the WCU has introduced the following guidelines. These Guidelines tell you what you can expect from us when your child participates in chess events and details the information we need from you to help us keep your child safe. We need you to complete this form at the start of every season and to let us know as soon as possible if any of the information changes. All information will be treated with sensitivity, respect and will only be shared with those who need to know. These include junior team captains and coaches. I CONSENT / I DO NOT CONSENT (delete as appropriate) to my child being transported by persons representing the WCU or one of its individual members or affiliated clubs for the purposes of taking part in chess events. I understand the WCU will ask any person using a private vehicle to declare that they are properly licensed and insured and, in the case of a person who cannot so declare, will not permit that individual to transport children. Your child may be photographed or videoed when participating in a chess event. All reasonable steps will be taken to obtain parental consent. In the absence of any explicit objection, those responsible will act in the best interests of the child which may include assuming parental agreement for the above reasons. I GIVE / DO NOT GIVE (delete as appropriate) my permission for my child to be involved in photographing/filming and for information about my child to be used for the purposes stated in these guidelines. I understand the WCU will listen to the views of my child in relation to all matters affecting them and require respecting my child’s ability to give their own informed consent. Any pre-existing medical conditions that we need to be made aware of? I will inform the officials of any important changes to my child’s health, medication or needs and also of any changes to our address or phone numbers given. In the event of illness, having parental responsibility for the above named child, I give permission for medical treatment to be administered where considered necessary by a nominated first aider, or by suitably qualified medical practitioners. If I cannot be contacted and my child should require emergency hospital treatment, I authorise a qualified medical practitioner to provide emergency treatment or medication. The WCU takes your privacy seriously and will only use information gathered in relation to our youth teams that meets the specific responsibilities as set out in General Data Protection Regulations. However, from time to time we would like to contact you with details of fixtures, training events, competitions and other information regarding the WCU. If you consent to us contacting you for these purposes please tick to say how you would like us to contact you. Our Secretary will store your information on our database for the duration of membership. We would also like to pass your details onto organisations such as government departments, press and social media for the purposes of monitoring and reporting along with applying for funding and development opportunities. If you consent to us passing on your details for this purpose please tick to confirm. I confirm that all details are correct to the best of my knowledge and I am able to give parental consent* for my child to participate in and travel to all activities.